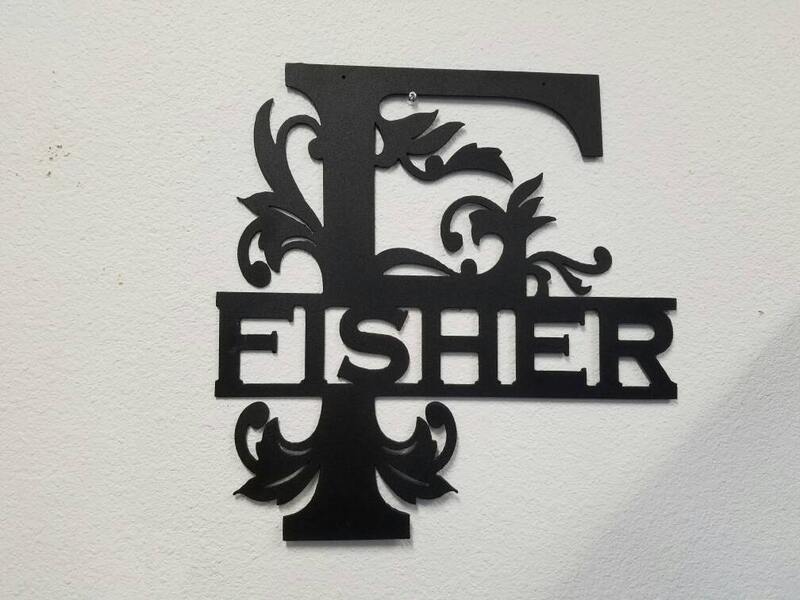 Double monogram personalized letter fabricated from 16 gauge aluminum, then powder coated to protect your letter from the elements. Each one of these letters I design, fabricate, and finish from beginning to end. They are made by me, right here in Port Orange Fl using tools and materials that are made, serviced and sold in the USA. 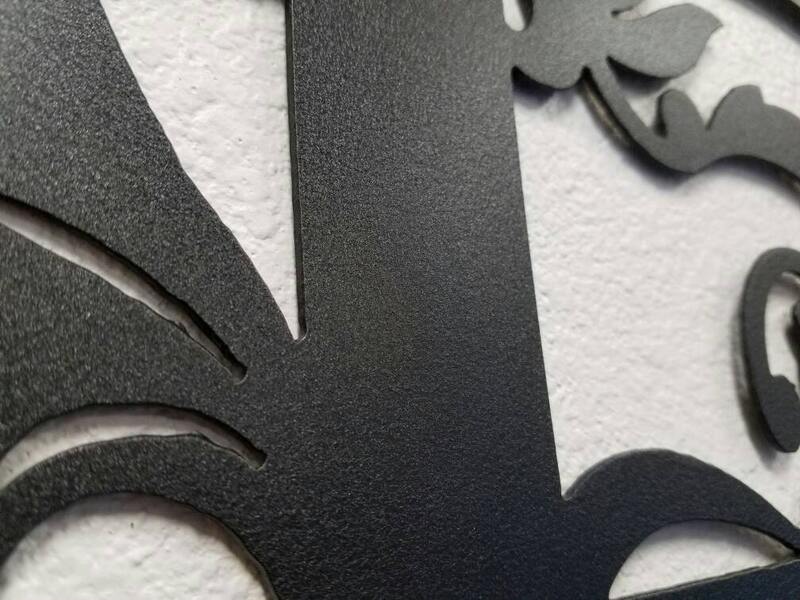 Each piece is coated with a black powder coat by default. If you have a color preference, please be sure to ask it's availability BEFORE ordering so we can be sure we have what you need. 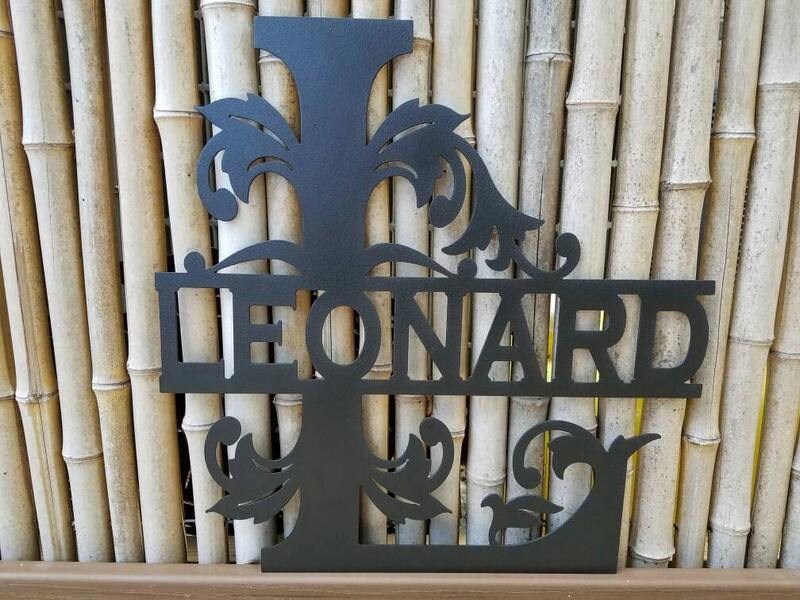 Letters are 16" tall x 16" wide fabricated from 16ga aluminum-Aluminum is a fantastic metal for inside or out because it doesn't rust. Steel counterparts can rust over time under the powder coat, causing that nice finish to chip and flake. Also, aluminum is light weight, putting less stress on your walls. Don't let it's weight fool you, for artistic and decor purposes, aluminum is a superior metal for the long term. 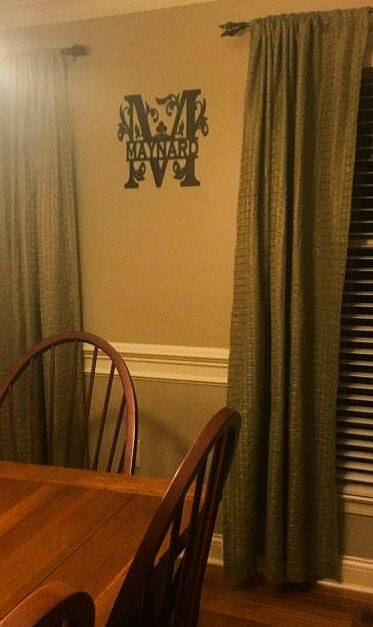 My monogram wall hanging is beautiful in my dining room! Good quality and unbelievably fast shipping!! Thanks!